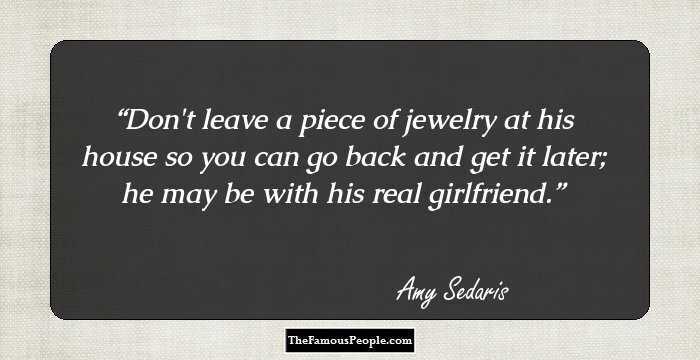 Top quotes and sayings by Amy Sedaris on movies, life, relationship, love, women and friends. 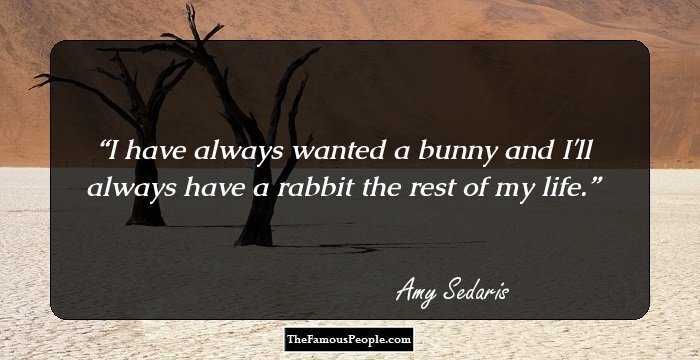 Amy Louise Sedaris is an American actress, singer, comedian, voice actress and screen writer, who is particularly well known for her roles in various comedies on television and the big screen. Sedaris started off as a comedian for comedy troupes but in 1995, she entered the world of television with the show ‘Exit 57’ on Comedy Central and she hasn’t looked back since. She is also well known for the series ‘Strangers with Candy’ not only because of her acting skills but also because of the fact that she co-wrote the show. 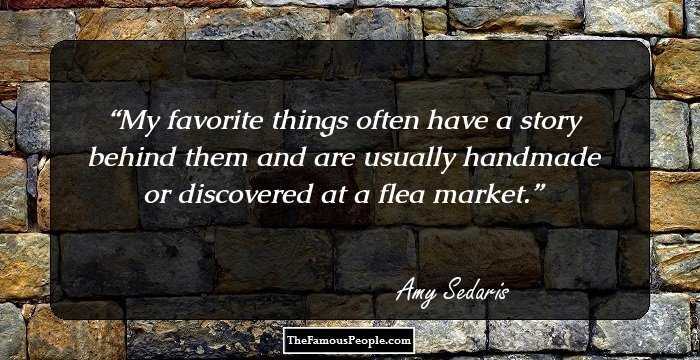 Sedaris is one of the most recognisable comedians of the modern era and in addition to that, she has also been a widely appreciated voice actress, who has lent her voice to the character Princess Carolyn in the series ‘BoJack Horseman’ among others. Sedaris is also an author and one of her most well-known works is the book ‘I Like You: Hospitality Under the Influence’. 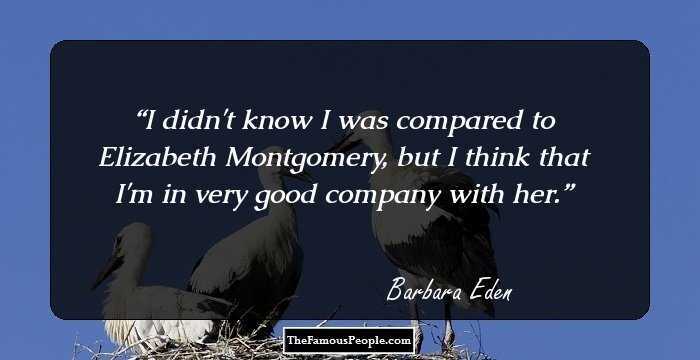 Her fun style of writing captured the imagination of readers. Sedaris remains one of the most multi -talented actresses and has been vocal about plenty of issues close to her heart. 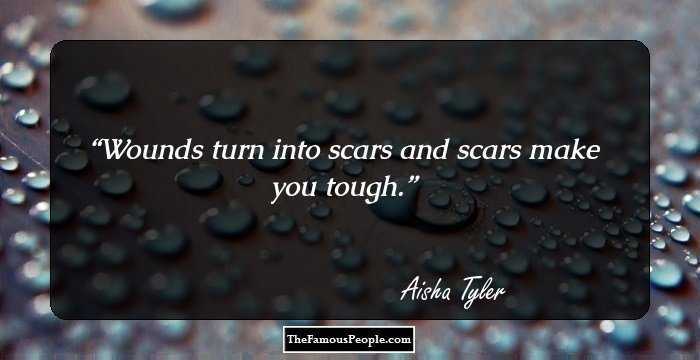 Here is a collection of some of her well-known quotes and sayings on a variety of topics, such as movies, life, relationship, love, women and friends. I like to decide the night before Thanksgiving that I'm gonna do it, and I'll see what riff raff is around. Then I get that last-minute surge of energy. But if I had two weeks to plan, sometimes I wish I wasn't doing it. But very seldom does that happen. I’ve named everything that I’ve ever owned. Real or inanimate, I have to give it a first and last name. Everything in my apartment comes alive at night. 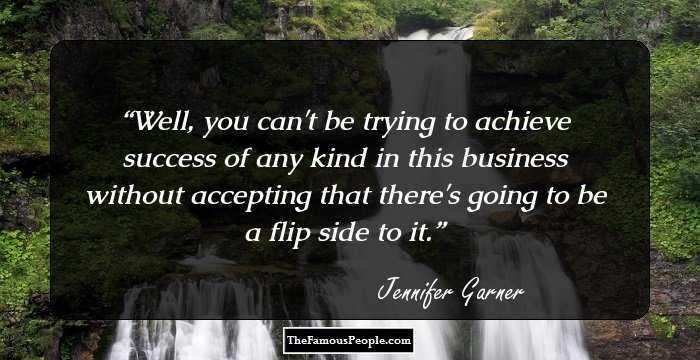 I never really take shortcuts. I was always one of those people who, instead of cutting across someone's yard on the way home from school, I would go to the end of the block and turn. I want witchcraft so bad that I can't stand it. I have wands in my apartment. And I use them sometimes. I walk into the kitchen with my wand, and I come out with something on a platter and I say, 'See, magic happens.' Works every time. I wasn't a cliquey person, and I think that's because I came from a large family. I got along with everybody, and I usually got along with the people that people didn't like. I like crafts that come out of poverty or necessity. There used to be hobby shops where you'd get your supplies, and then you'd use your imagination. I'm very domestic; I love cleaning. I love cooking. I like waiting on people. I just like to make things. I don't break that down to be weakness, or the only things women can do, or putting me back 20 years. I have a couple freeloader friends, but it's okay. I know they're gonna come in with their arms flying in the air empty-handed. I feel confident writing on my feet with improv, but it's different when you're sitting down and writing it out. In all the land there is only one you, possibly two, but seldom more than sixteen. I love cop shows and crime books and thrillers, and before I die I'm gonna play a cop. I like working with the public, and I like that it's really hard work. Usually I'm the one asking somebody to do something because I don't know how to finish it. I'm like, 'Do this for me' because I'm just resistant to learning. I'd just much rather see an ugly person take the trash out than see somebody really pretty taking the trash out. I like to entertain in all aspects. When you're with somebody and you're out, you want to be entertained. I like to be around entertaining people. Even if they're bored, and you're in a convalescent home, there's something entertaining about that, in a way. You think in a different way when you don't have any money. The joy of poverty is that you use your imagination to come up with stuff. I always knew I didn't want kids, and I didn't want to get married. A lot of crafters, they're shut-ins. I like to play unattractive people who think they're pretty. You can do what you want, but I prefer to look interesting. If I'm creating something for myself, then I want to have fun. I can't imagine going to an all-girls school. I went to a public school. 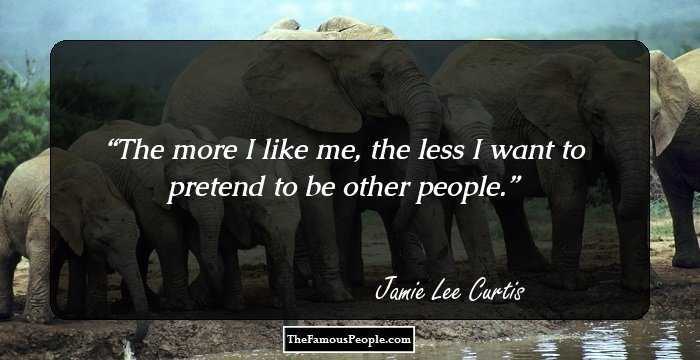 A lot of times girls think they're funny, but they want to pretty at the same time, and if you want to be funny, you have to be willing to get ugly. I'm drawn to people who look different. I'm not exploiting. I'm not making fun of them. I'm drawn to them. The moment someone says, “Hey, everyone, listen to the words in this song,” your party is over.